Mandolin Whitten riding a horse. Studying how to train an ex horse (a horse that is done racing), how to do a type of riding is called eventing. 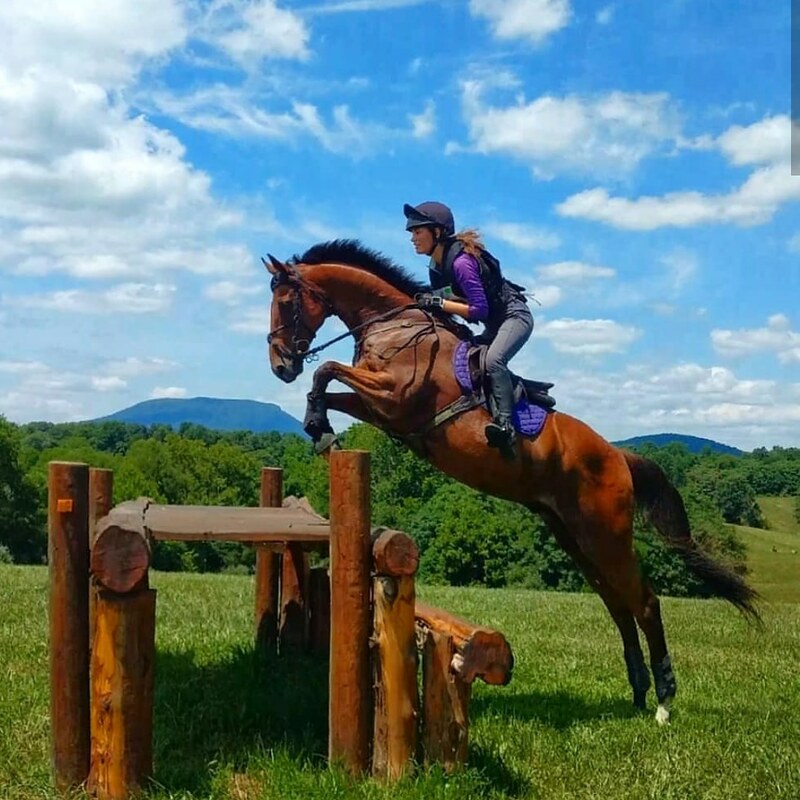 Eventing entails dressages, which is a pattern that the horse follows, show jumping, where they try to meet a certain time and avoid knocking out poles, and cross country, which tests endurance. Junior Mandolin Whitten is conducting an independent study training a horse that is done competing. Whitten hopes to train horses to learn and complete the obstacles of eventing. “In cross country you try to complete a certain number of obstacles. The obstacles could be water, ditches, and jumps. The dressage, show jumping, and cross country all come together to determine your placing and whether you win or lose,” said Whitten. 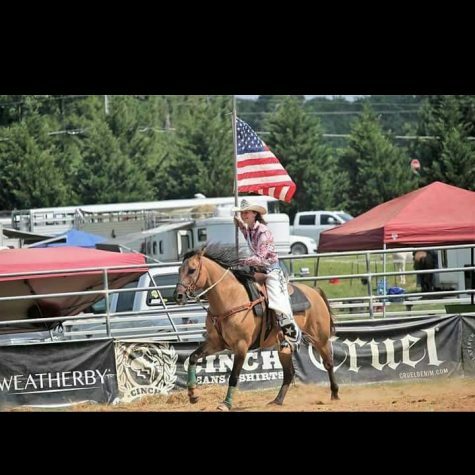 Whitten has been riding for 11 years, but has only been training ex horses for two to three years. Because horses were already a part of her life, she believed it would be interesting to do independent study research on horse racing. The horses Whitten is working with are all at different stages. She has discovered how training ex horses is very unique. “For ex horses you have to completely start from the ground up and I’ve never done before. My main focus has been on two three-year-old horses that stopped racing earlier this year,” said Whitten. Training ex horses involves making them healthier by focusing on their weight and working on grooming. When they are ready to ride one works with them in hand while they have a saddle on. “Finally, you begin to sit on them, which leads to more intense training, such as showing and jumping.I like getting the opportunity to work with the horses that I am training. 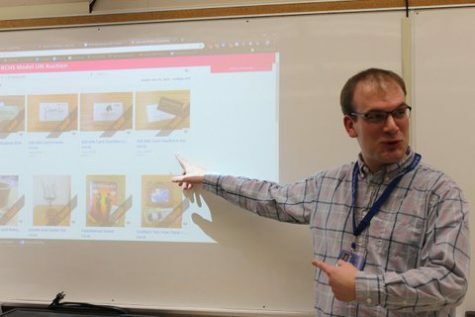 If I didn’t have any requirements to meet I would be working with them just as much,” said Whitten. Through this independent study, Whitten has learned more about training, but she is still uncertain if she wants to make this her future occupation. 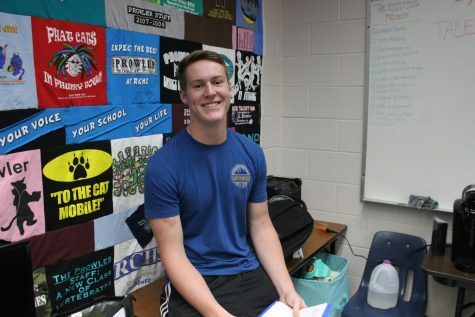 “I would love for this to be a part of my future, but it will definitely take a lot of hard work that may not pay off. I am just not sure,” said Whitten. Whitten’s mentor, Muffin Pantaze is a licensed eventing judge and official. These licences have allowed Pantaze to travel to horse shows and officiate. Pantaze attended Virginia Tech, she began to teach Radford University physical education riding classes. After her graduation she worked at equestrian facilities, where she learned eventing. “My family had horses growing and we trained them ourselves. As I attended and graduated college I started to hone my equestrian skills,” said Pantaze. Four years ago, Whitten began learning eventing from Pantaze. She was taking lessons once a week, which then increased to up to six times a week. Whitten works at the barn in exchange for instruction. “Learning from my mentor has been an amazing experience. I am looking for to learning more about my independent study and some day to be as good as Muffin,” said Whitten.